A Polynesian Paradise of lush rainforests, secluded beaches, dramatic volcanic scenery – you cannot fail to be captivated by Hawaii's treasures. 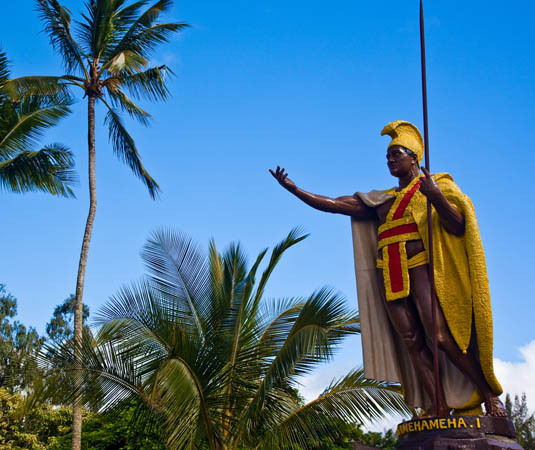 Whether you seek peace and tranquillity, history and culture or the buzz of an exciting, busy resort town, there is an Hawaiian island to fit the bill. Oahu is where most people start their visit to Hawaii. 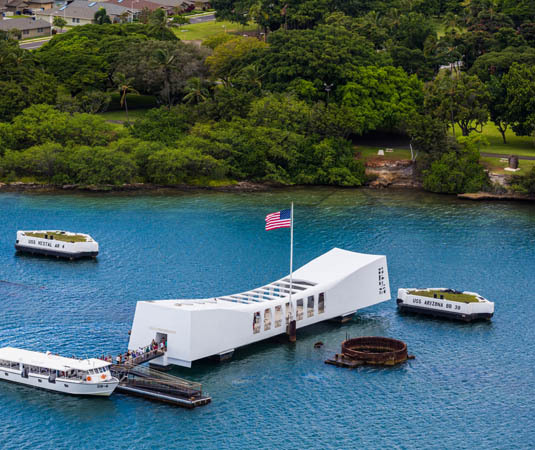 Whether you try your hand at surfing on Waikiki Beach or head to the north shore and watch the experts ride the monster waves; admire the historic architecture of Iolani Palace or pay your respects at Pearl Harbour; take a hike on iconic Diamond Head or explore the shops of Honolulu, where you'll find variety at every turn. Maui, the second largest Hawaiian island, offers 33 miles of superb beaches, crystal clear waters and a dramatic extinct volcano. Dotted with quaint towns and artist communities it is a quieter alternative to Oahu. Places to visit include the old whaling town of Lahaina; the fascinating volcanic landscapes at Haleakala National Park; beautiful Iao Valley State Park and the peaceful town of Hana. Between November to April whale watching is popular and if you're lucky, you may even catch a glimpse of the humpback whales from shore as they blow. The spectacular island of Kauai is the lushest and most verdant. The pace of life is much slower here but that doesn't mean there's a shortage of things to see and do. 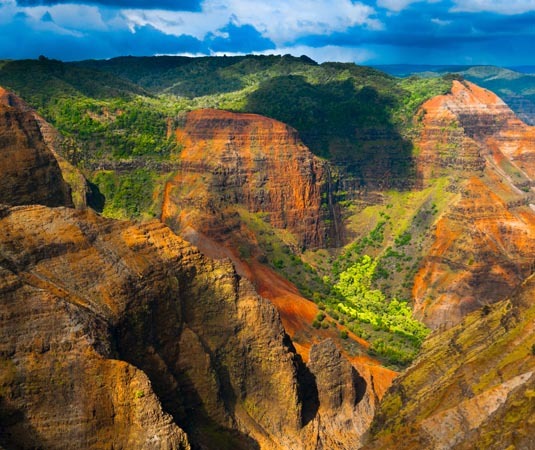 Take a glimpse at Waimea Canyon, proudly known as the 'Grand Canyon of the Pacific'; explore the hiking trails of the Napali coastline for stunning Pacific vistas; kayak down Wailua River, or simply bask on an uncrowded white-sand beach. Twice as big as the other islands combined, Big Island is home to almost all of the earth's natural ecological zones; beaches, rainforests, coral reefs, mountain tops, lava wastelands and volcanoes. Learn about the islands' culture at Pu'uhonua o Honaunau National Historic Park; explore ancient ruins at Pu'ukohola Heiau National Historic Site; stroll along a black sand beach; or visit Kilauea, one of the world's largest and most active volcanoes. 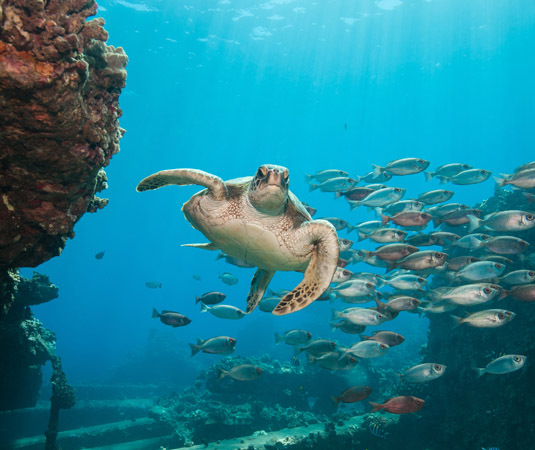 Call and speak to one of our travel experts who have experienced Maui personally. There are no non-stop flights from the UK to Hawaii. 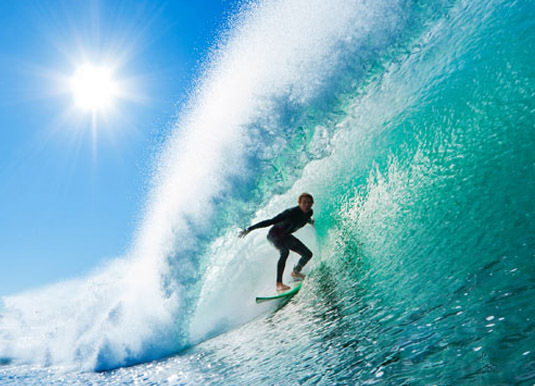 Flights via Los Angeles or San Francisco to Honolulu on Oahu take approximately 19 hours. Hawaii enjoys some of the best weather in the world with long days of sunshine and fairly mild year-round temperatures. The official rainy season is November to March but it can rain every day somewhere on every island, however, it’s more likely to be a light shower than a downpour.